Tory PM David Cameron slaps Criminal Crony on back with New Year’s Honour! Gerald Ronson, the tycoon jailed in the 80’s for his part in Britain’s “Guinness Four” stock market scandal, gets a CBE. He donated heavily to the Tory Party however – hence the Honour presumably. Another controversial Tory donator, Paul Ruddock – the hedge fund manager and Partner of the Landowne fund that bet on the collapse of Northern Rock – AND profited hugely from it… he got a Knighthood! 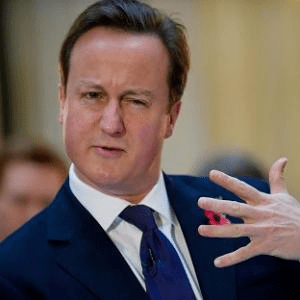 David Cameron explains the "Five Fingered Discount"! Shows how meaningless the British Honours system actually is… this kind of crap needs to stop! Check out the full New Year’s Honours List HERE! I suppose we should be grateful Rupert Murdoch wasn’t honoured. This is a Zeitgeist Coffee House News Bulletin! Harbinger451’s NEW, Alternative, Contemporary & Avant-garde site that gives you up to date Independent News, Polls, Forum and Chat! “A progressive culture explores all Possibilities” – Take a Coffee Break & catch up with the latest news stories and cultural phenomena – from numerous reliable and established independent news and information sources based around the world – then vote in the Zeitgeist Coffee House Polls, add to our Lists and Chat with other visitors to this alternative site exploring the cutting edge signs of the time that make up a contemporary global culture. Check out the Zeitgeist Coffee House Title Page Now. More will be coming very soon!